SARTA has several programs to assist Veterans in getting to work and medical appointments. SARTA has partnered with the Stark County Veterans' Service Commission (VSC) to provide Stark County Veterans with FREE rides to the Wade Park VA Hospital for medical appointments. The Route 4 bus to Cleveland leaves our Downtown Canton, Cornerstone Transit Center and the American Legion three times a day Monday - Friday and goes to the Wade Park VA Hospital and Downtown Cleveland. Veterans must coordinate with the VSC. To schedule your FREE ride, contact the Veteran Services Commission at 330-451-7457 x3. Free bus tickets can only be obtained from the VSC. Our transit centers and drivers cannot issue free tickets. If a Veteran wishes to go to Cleveland and does not have a medical appointment at the Wade Park VA, a one-ride ticket can be purchased for $2.50 ($5.00 round trip). Additionally, those using mobility devices and parties of 4 or more MUST make round trip reservations 24 hours in advance as space is limited. 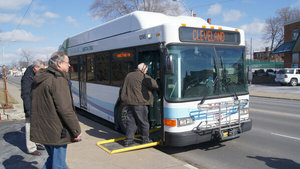 Please Note: Cleveland Bus Tickets can only be used for the Cleveland Bus. 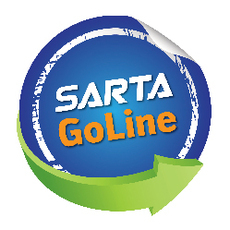 SARTA is offering those seeking or who recently obtained employment up to 90 days of free fixed route bus passes. For additional information contact Community Resource & Referral Center (CRRC) social worker at 330-761-7054. SARTA's Proline service provides transportation to all passengers with ADA recognized disabilities. SARTA's Medicaid Services are for those that are on Medicaid or are Medicaid eligible.